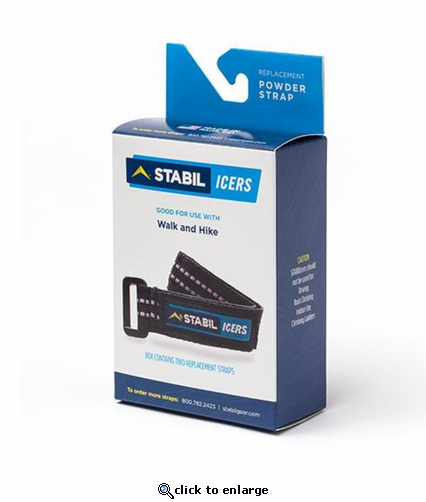 STABILicers™ Powder Straps are intended for use in deep and crusty snow. They can be added to the STABILicers™ Walk, or purchased as replacement straps for the STABILicers™ Hike. Hook and loop strap secures Walk or Hike to boots for deep snow performance.